As the weekend comes around and you’re looking for projects, projects, projects… I’ve gathered 3 of the warmest, wooliest knit hat patterns you’re going to love to make. 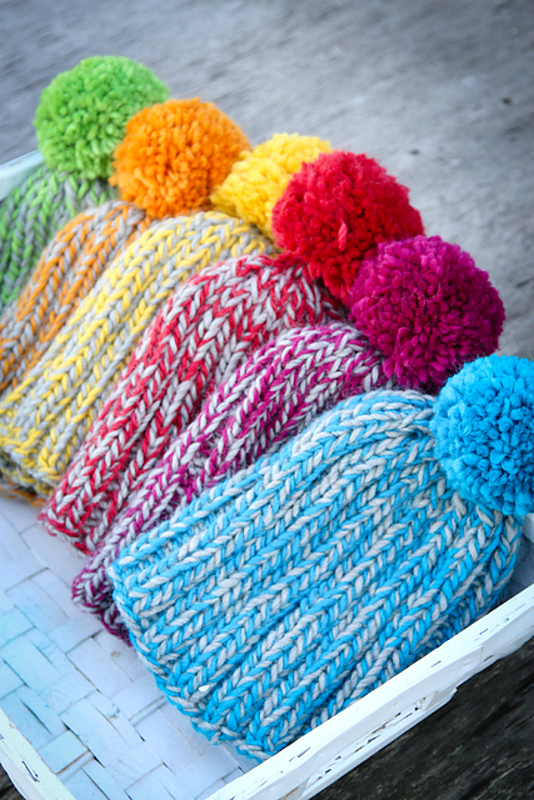 Plus, they all have Pom-Poms on top! 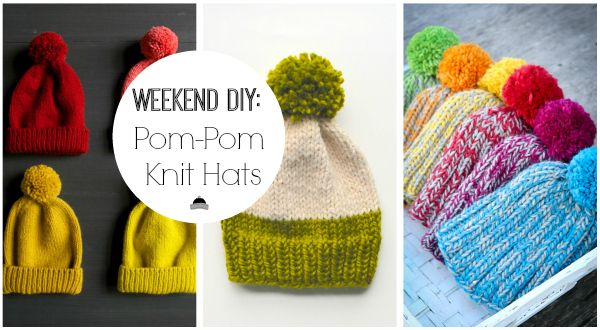 Snuggle up on the couch with your yarn, knitting needles, and a classic movie for the weekend to make these fab pom-pom knit hats! 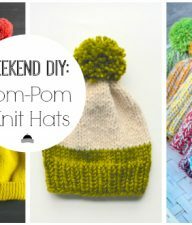 Just when you thought you were out of ideas for your weekend knitting, I come in and pop up these 3 fabulously fun patterns for knit hats. They are cozy and comforting, plus the pom-pom topper bonus, YASS! 1. Classic Cuffed Hat. 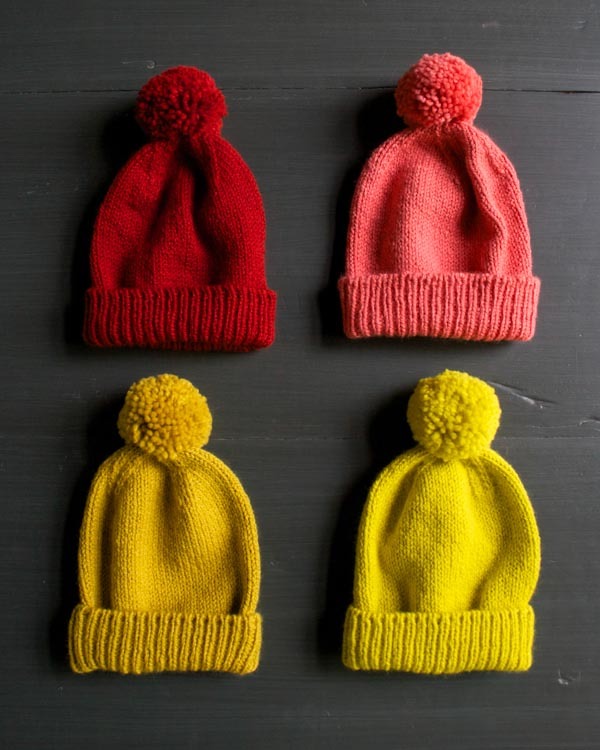 These are those hats with the classic cuffed look, complete with pom-pom as well. 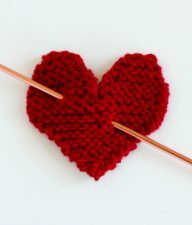 Make one in every color yarn skein you have on hand. Find the tutorial at Purl Soho. 2. Knit Slouchy Pom Pom Hat. 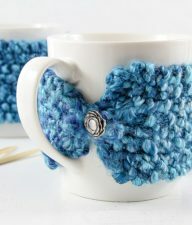 This pattern calls for 2 different colors, complete with matching pom pom on top. It’s too much fun to knit and wear! Find the tutorial at Ashley Lillis. 3. Last Minute Pom Pom Hat. I love the color accents of gray in each of these yarns, perfect for a quick weekend project. Find the tutorial at Kirsten Hipsky. 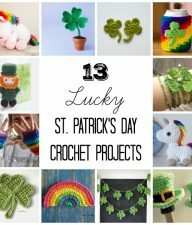 Want more yarn craft patterns? 15 Knit And Crochet Hat Patterns – With so many stylish ways to stay warm, it’ll be hard choosing which beanie to make first! 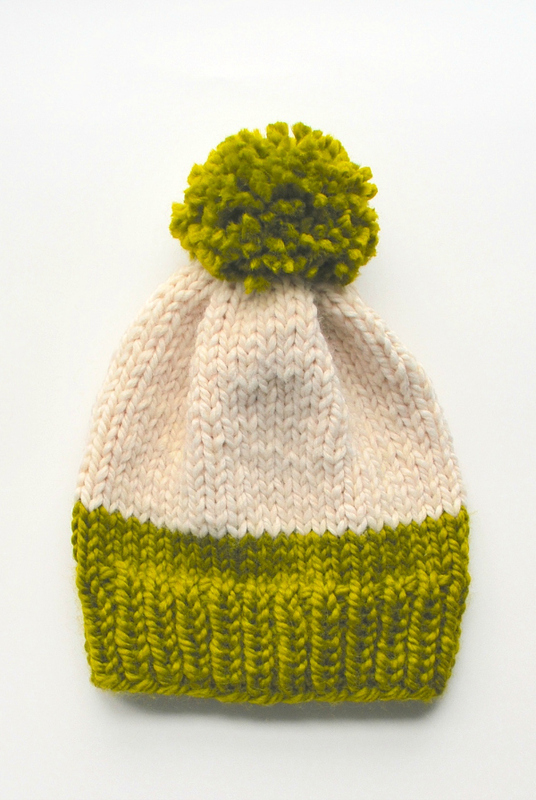 Get making your yarn crafty hat today! Stitching Hearts on Snow Hats – stitch up pre-made knit hats with embroidery thread to make a fun and silly monogram for your kids. These hats are ready to wear, sealed with a KISS!